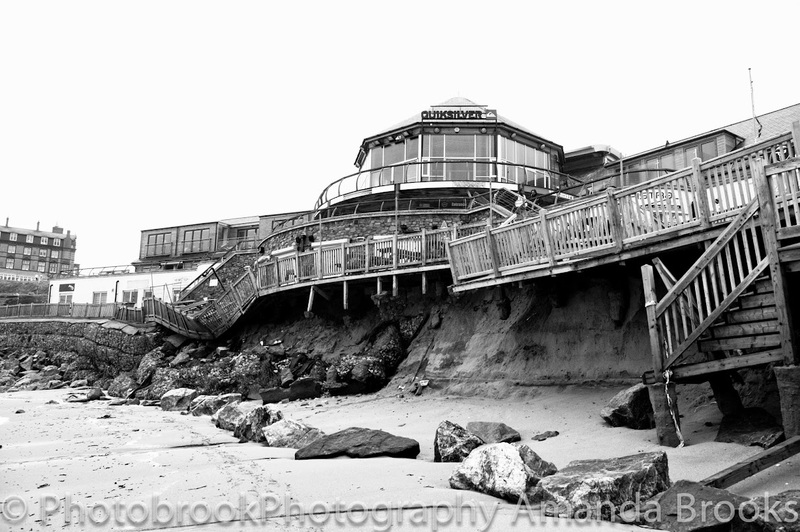 Photobrook Photography: I am british therefore I talk about the weather. Currently the weather is a topic on everyone's mind because it's just so bad. Let me put this into context as i know other places in the country have had some respite from the awful weather but down in Cornwall pretty much the whole of June has been a wash out. I'm not just saying that it has been bad because i want scorching hot temperatures for the whole 3 months of summer! i'm saying it's bad because in June you do not expect gail force winds, torrential rain and temperatures barely out of single figures. 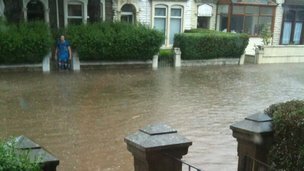 Recent reports on the news have said that this is the worst summer since records began, and just last night there were more reports of severe flooding in the north when another months worth of rain has fallen in just 24 hours. This isn't a one off either with only a few weeks ago Wales being severely hit with flooding. 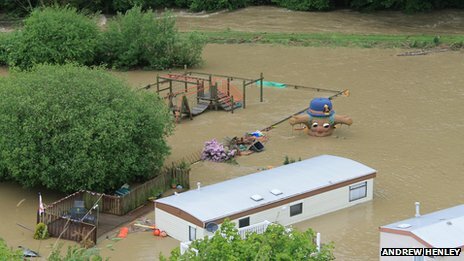 The riverside caravan site in Aberystwyth Wales at the start of June that was hit by severe flooding. And last night news reports came from northern England and into Scotland of more severe weather with parts of Yorkshire suffering from more flooding and extreme weather. It's not just the torrential rain causing severe flooding that's making the headlines either. 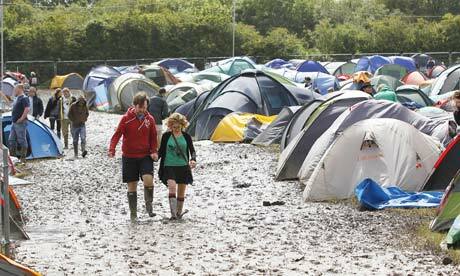 The recent Download festival was hit by heavy rain. 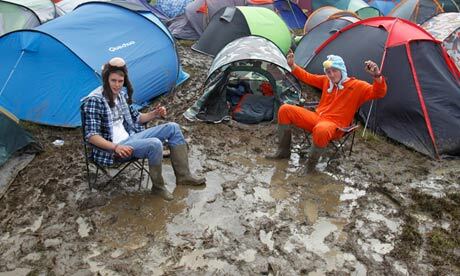 These images from the Download festival website show just what happens when you add 1000's of rock fans, muddy fields and plenty of the wet stuff! But it's not just download festival that has suffered badly, The isle of White festival that is happening this weekend has also been hit by the bad weather. With the festival fields being flooded revelers could not access the site and with no where to go were stuck in their cars over night! These images from the Guardian website show the severity of the wet weather in the south of the country on the Isle of White. It's not just the big music festivals that have been effected by the rain but all sorts of events across the country are suffering. In April this year at Santa Pod raceway a weekends camping and drag race event had to be cancelled due to yet again the wet weather. This is an account from the Big Bang vw website on the events that happened that soggy weekend. "We are heartily sorry that we had to cancel Big Bang on Sunday. It is not a decision that anyone at Santa Pod took lightly, but at the advice of UK Event Safety, who had already been dealing with cases of hypothermia due to collapsed tents and flooded sleeping areas, it was decided to cancel the event. An additional problem was dreadful flooding that was only getting worse and it would not have been sensible to allow more people onto a site that was already in a bad way. No-one at Santa Pod can ever remember seeing such extensive flooding in the camping fields!" Weather forecasters have reported that the next 30 days at least are going to continue to be unsettled with no real sign of any wall to wall sunshine on the cards. The last "Summer" that i can remember being continually warm, or at least dry and bright was in 2006. Let's hope that jet stream changes it's cause soon, and one year we will get a lovely summer without so much rain!